Isn’t that always the way? I’ve just found a word-building letter tile iPad app which I think is about ten times as good as Sound Literacy, the topic of my last blog post. If there’s any word-building app that could get me to sometimes leave my trusty movable alphabet at home, it’s Write On Phonics. The first noticeably excellent thing about this app is the price – 99c. I should have kept that information for last, half my readers have now gone straight off to the apps store to get it. But anyway I’ll carry on for those of you who want more detail. 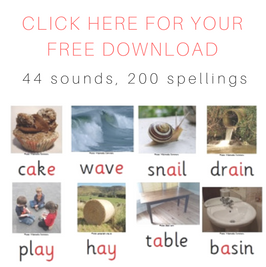 The second excellent thing about Write On Phonics is that it contains almost exclusively tiles printed with spellings which represent singe sounds. 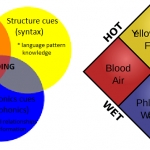 There are no rimes, suffixes or other units of linguistic analysis to bulk it up and potentially confuse beginners. 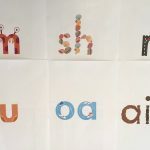 The only exceptions are tiles for “qu”, “all” and “ure”, which for the phonics purists really represent two sounds, but kids readily accept explanations about these combinations, if any are required. I tend to say that we usually write “qu” instead of “kw” or “cw”, and that before the sound “l”, the sound “aw” is generally written just with a letter “a” (as in “all”, “fall”, “also” and “walnut”, but not “shall”). I don’t work on “ure” (as in cure, pure, picture and nature) till my level 7, by which time it’s not really necessary to say anything much about this spelling, other than it exists, and then get on with writing and saying it. 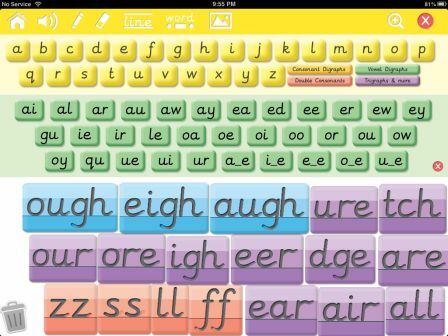 The third really excellent thing is that when you tap twice on a tile in Write On Phonics, it says the sound or sounds that spelling usually represents, and gives you an example word or words. The voice is a clear, high-quality digitised child’s one with a British accent. If you double-tap on the tile “our” the voice says: “or as in four, uh as in armour, our as in hour”, and the words “four”, “armour” and “hour” appear at the bottom of the screen. 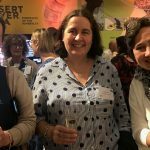 Write On Phonics doesn’t have as many variations or examples as my own movable alphabet – the spelling “oo” provides only the words “boot” and “book” and their associated sounds, whereas I also include “flood” and “brooch”. But it gives the main sounds/spellings, which is probably all that little kids need. 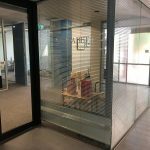 My learners are often older kids who are suspicious of oversimplifications, and need to be convinced that I know the system inside-out and am not going to lie to them about its complexity. The fourth really excellent thing is that it has “split” vowel spellings, into which you can drop a consonant spelling, to make words like “chase”, “shine”, “these”, “phone” and “cute”. 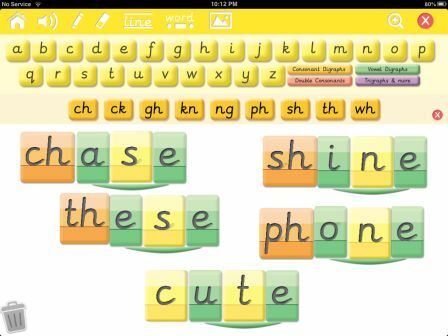 Write On Phonics has a simple, clean presentation, the tiles are a good size, and the menus are very simple, though the digraph and trigraph ones on the main screen are a bit small. 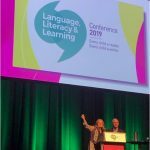 I wish the colour-coding helped learners differentiate between vowels and consonants, and work out which side of a vowel to use each consonant spelling, but it doesn’t. Maybe I can convince them to do this for the next edition. A couple of students had a little bit of difficulty at school today trying to move tiles around, but instead zooming in on the screen, because they had two fingers on the screen at once. However this soon sorted itself out with practice. If you’ve got an iPad and you’re working on synthetic phonics, this is a good-value app, and you should get it. I’m still not throwing out my movable alphabet, because I still think manipulatives are useful teaching tools, and because often I’m working with more kids than can crowd around one iPad. But I think I’ll be using Write On Phonics quite a lot. There are a couple of YouTube videos about Write On Phonics, here’s the Overview one, and if you want to see the Quickstart one, click here. 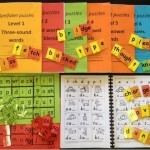 This entry was posted in blending and segmenting, phonics activities, sound-letter links, teaching strategies on May 28, 2013 by alison. How can i purchase this app in the US. Really want it for my learning support class. 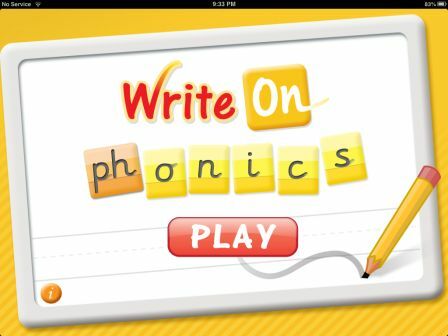 I can’t seem to find the write on phonics app on ipad or Google play?